Sebastian Giovinco is the best player to ever wear Toronto FC red. By the end of his contract, he could very well prove that he is, in fact, one of the very best to ever play in MLS. The “will they or wont they” saga is finally over. 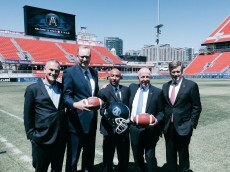 Toronto’s beloved “football” franchise has found itself a new home. 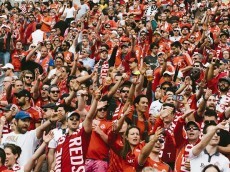 As it just so happens, that home is already occupied by Toronto’s other football club. Soul-sucking. Deflating. Like the feeling you got when you’d do something bad and get caught by your parents, but they wouldn’t come down hard on you, they’d just tell you they were “disappointed in you”. What a horrible feeling. Disappointment is worse than rage because disappointment breeds apathy. Everyone knew heading into 2015 that the 8 game extended road trip was going to be tough. 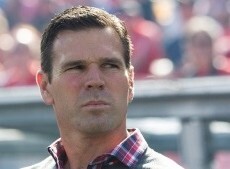 Seven league games and a Canadian Championship match shoved into 10 weeks on the road. After dropping 4 of their opening 5 games to start the 2015 campaign, it’s safe to say that things are not going according to plan. At this point, it’s fairly obvious what the culprits are. With several notable absences through injury, suspension, and international duty, what becomes fairly clear is this: today is Giovinco’s time to shine.